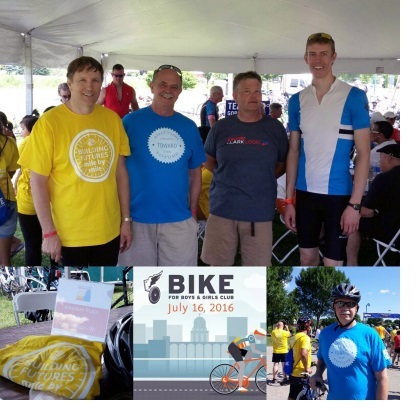 For the 3rd year the Wisconsin Chapter of APWA will participate in the Bike for Boys and Girls Club by fielding a team of riders to raise funds for the Boys and Girls Club of Dane County on July 15, 2017. Since this is year three of our participation we are looking to double our number of riders to at least 12 and double the money raised to $3,000. There are 8 mile, 25 mile and 50 mile rides - you can choose based on your ability. If you are unable to ride and would like to help the team reach its goal, you can also donate to the team or a specific rider at the website in the link. Please consider participating or contributing to this effort.